I couldn't believe it when I went and looked for some Chicken Noodle Soup and found there was none to be had! 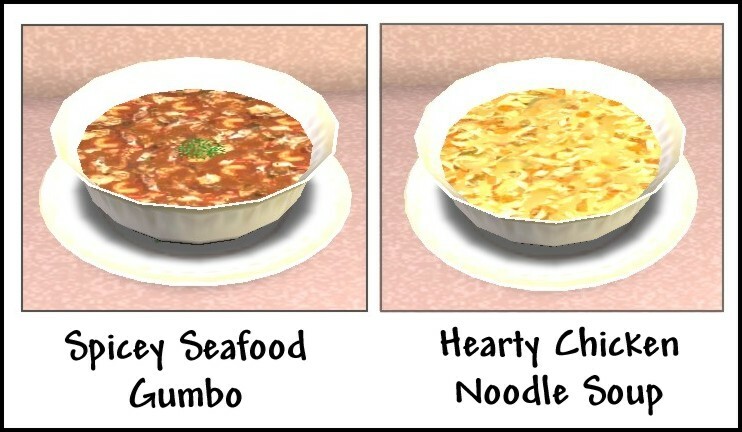 So, here are two new yummy soups for your sims to enjoy on a freezing winter night! 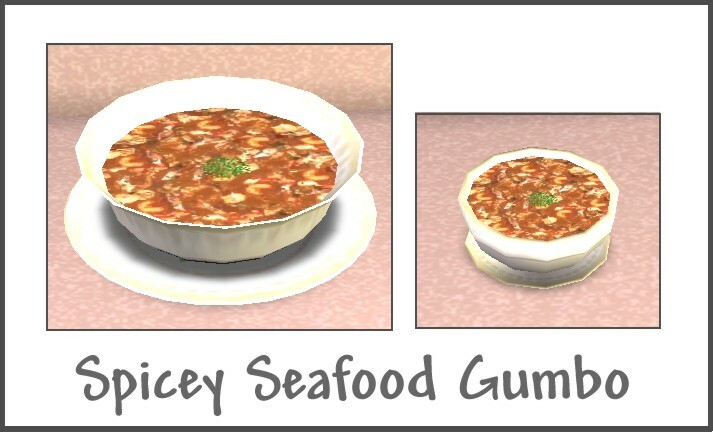 Hearty Chicken Noodle soup is made from only the finest ingrediants, and the Spicey Seafood Gumbo is sure to heat up even the coldest toes. 1. Chicken Soup cloned from Mac and Cheese. Gumbo cloned from Chili. 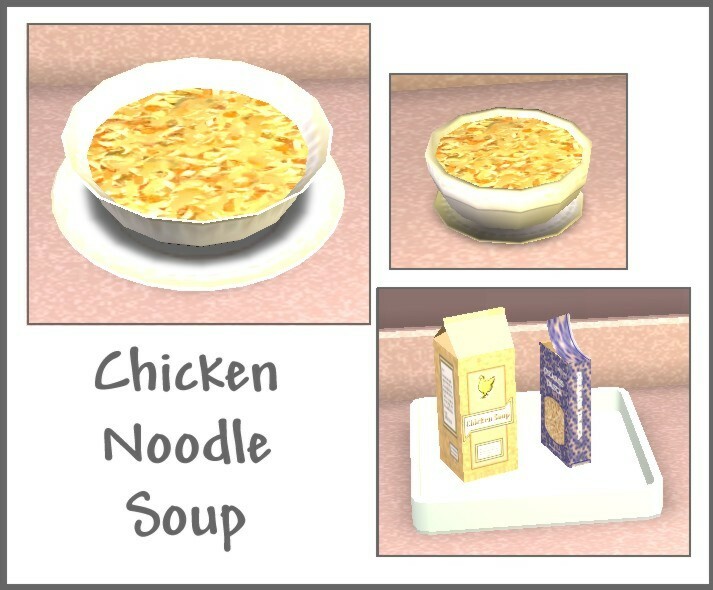 These items, like all TS2 food, are not recolorable. Please do not redistribute my work without my direct written consent. That includes loading them up to "The Sims2 Exchange". Please let me know if there are any problems with my objects! Also, I thrive on feedback, and I have thick skin. Any honest comment you ever want to post about my work, be it positive or negative, is always totally welcome. If something is good or bad about my work, I won't know to repeat it or fix it if someone else doesn't help point it out to me.